Leeds GP and CCIO Alistair Walling, and everyLIFE Technologies Chief Information and Compliance Officer Taffy Gatawa, discuss the role of data sharing in health & social care integration. The City of Leeds is recognised as a leader in health & social care integration, some which is due to advances made on data sharing, including six year’s worth of experience of the Leeds Care Record, that allows GP patient records to be shared with hospitals, community providers and social care professionals. The City has recently integrated IT provision and management across its council, hospital and CCG, and is also part of Yorkshire and Humber’s NHS Local Health and Care Record Exemplar (LHCRE) - one of seven such projects underway nationally. everyLIFE Technologies provides software for care planning and management for recipients of home care and residential care. 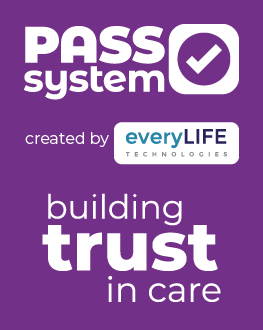 One key facility provided is a portal through which family and carers can be enabled to view details of care provided to the person receiving care. So, for example, a family member living far away from their relative can, with appropriate permissions, view care provided in real time. Enabling the flow of information to inform direct care, and to feed into wider population health analysis, is much more about culture and trust than it is about technology, as our panellists explain. But both are optimistic that the value of sharing is more widely recognised even if there is still a way to go with people’s understanding of risks and how they can be managed.